Sea of Thieves Review – AiPT! This game can be extremely fun to play and beautiful to look at sometimes, while other times it can seem a bit cartoony and can be frustratingly repetitive. 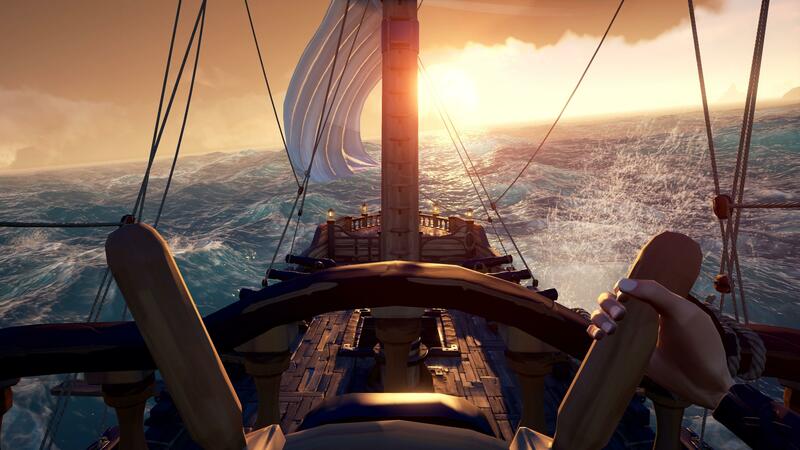 Sea of Thieves is a new first-person multiplayer pirate adventure from Microsoft Studios and legendary software developers Rare. In it players take on the role of a pirate and have a choice of playing with other players on a ship together or setting out on a solo adventure. Whichever way you decide to play the endgame is the same. Become a Pirate Legend. The controls in this game are simple and easy to learn. Players undertake various missions and can use the gold that they earn to purchase other voyages, new weapons, pirate outfits, or cosmetic enhancements for their pirate ship. As players sail the high seas they encounter other players, some of whom are friendly and interactive and some that are hostile and will try to sink your ship and steal your pirate booty. The later of the two can be particularly frustrating and challenging for solo sailors so be warned when choosing a mode. Graphically it can be hit or miss. At times it is breathtakingly beautiful, like the ocean and water which is extremely realistic and seems vast and endless. At other times it is cartoonish and seems clunky. For example the pirate characters are a bit awkward and there is no real way to customize to your character. Yes there is an endless character generator in the beginning of the game that you use to randomly create a pirate, but that is it. 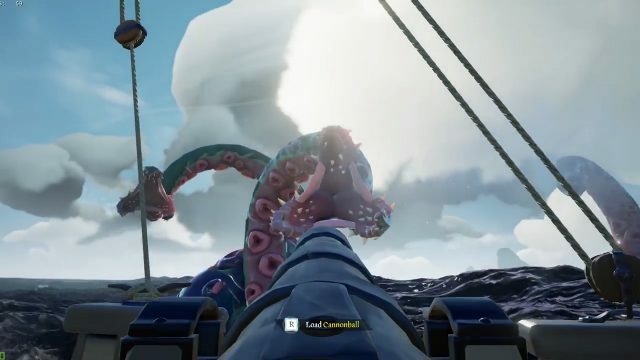 One particular highlight both graphically and gameplay-wise are the infamous Kraken encounters. These randomized encounters are probably some of the most terrifying and exciting points of the game but are rare to chance upon. The game play can be fun especially when sailing with a crew and interacting with other players. You can get drunk in the taverns, play sea shanties with other players, and brave schools of great white sharks exploring sunken galleons for lost treasure. There is a good deal to explore but where this game lacks is in the limited variety of missions and that there is no story mode. While it is fun to sail with a crew of different players it does tend to get very repetitive after a few hours of gameplay. One really frustrating part of the multiplayer is when other players are not using headsets since communication really is key to piloting the ships effectively. The multiplayer aspect of this game has a lot of potential, but at launch there weren’t as many players as there were during the beta and alpha tests which is concerning. Sea of Thieves is available exclusively on Xbox One and Windows 10 and is cross platform compatible. Another thing to note is that it is currently free at launch for any subscribers to Xbox LIVE Game Pass ($9.99 monthly subscription), but at a $60 retail price tag it may be hard to bring in new players who don’t subscribe to this service. Since this is a game that relies heavily on multiplayer for its level of fun and gameplay that could be an issue later on down the road. 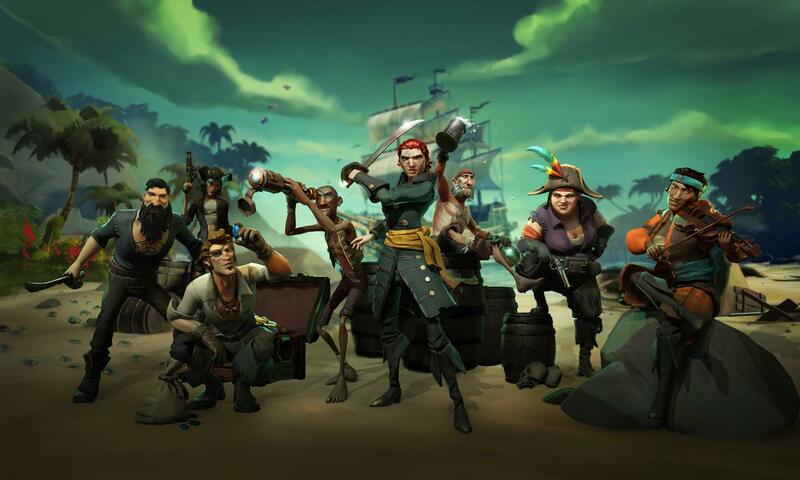 Overall Sea of Thieves is fun at times with a lot of potential but falls short on some key factors that may keep players coming back for more or make it unappealing to new players. Hopefully in the future, with some patches and DLC these issues can be rectified to make this often beautiful looking and fun to play game successful. When a game like this relies so heavily on its multiplayer for its survival, it is really necessary to keep fresh content up and hopefully the developers at Rare have this in mind for the future. For now I would recommend Sea of Thieves to any Xbox One owners that subscribe to the Game Pass since it is free. To anyone else that is interested in this game, either on the Xbox One or Windows 10, it may be wise to wait a while for the price to drop down and for more content to be available to really maximize your gameplay experience. Sea of Thieves is a game with great ideas and a lot of potential, but comes up short after a few hours of play. The graphic quality and look of the game is inconsistent between the environments and the characters. There are a lot of fun things to do and places explorer within the context of the game, but after a while the missions become repetitive and there is no story mode to move the player along. Playing with friends on the same ship can be very fun. Lush beautiful ocean environments that feel extremely realistic.